I wanted to create a pattern that would emphasize different textures, but also work up quickly and have a practical use. 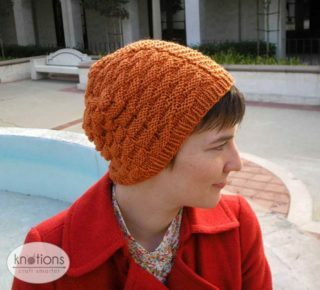 Texturize is a hat with six distinct stitch patterns. 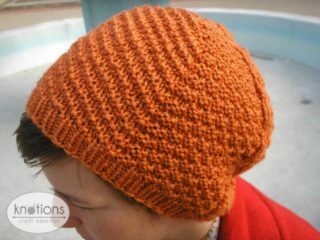 Knit in a warm wool blend, this pattern is perfect for a smooth yarn with great stitch definition. 19” circumference and 9” in length. Elann Peruvian Collection Highland Silk (80% Highland Wool, 20% Silk; 122 yards [112 meters]/50 grams): Color 1004 Pumpkin, 2 balls. 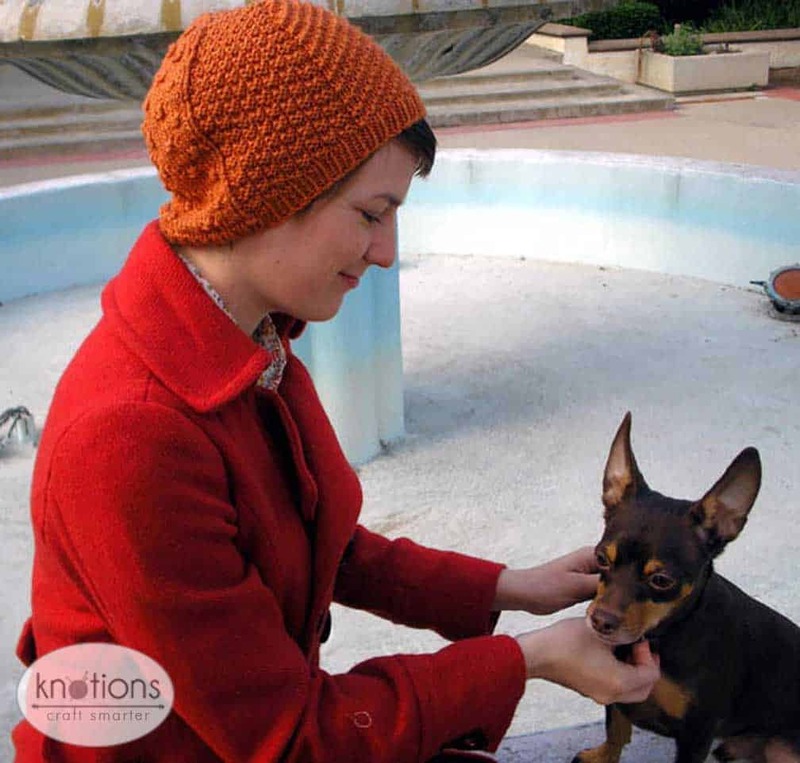 This yarn has been discontinued, but can be substituted with a DK weight wool. 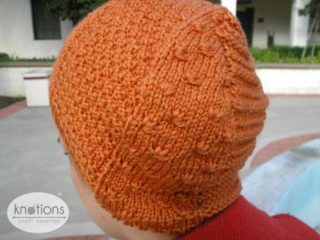 Some examples are Knit Picks Merino Style, Rowan Pure Wool DK, or Berocco Pure Merino DK. US#3 (3.25 mm): DPN and 16” circular. 21 sts and 28 rows = 4” in st st after wet blocking. Be sure to work your gauge swatch in the round. Please see our standard list of abbreviations. 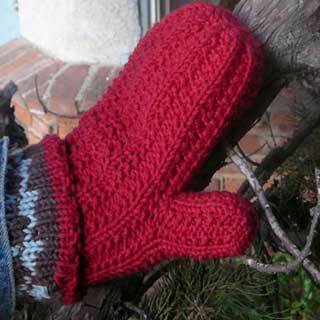 This pattern is worked in the rnd from the bottom up. Change to DPN’s when necessary. CO 102 sts. Place marker and join for working in the rnd, being careful not to twist. Work in k1, p1 rib for 1”; on last rnd of rib, place markers after every 17 sts. The hat is now divided into 6 sections. Work across chart beginning with Section 1. At the end of Section 1, sm and work Section 2. Continue this way until you have worked all 6 sections. Work rnds 1-8 of chart or written directions 5 times (40 rnds). Rnd 41 and all odd numbered rnds: *p2tog, work across section in patt to marker, rep from * 5 more times. Rnd 42 and all even numbered rounds: *p1, work across section in patt to marker, rep from * 5 more times. Work these last two rnds until 6 sts rem. Cut yarn, leaving an 8” tail. Thread tail into tapestry needle. Pull needle through remaining sts and pull closed. Weave in ends. Cassie is a fashion designer by day and mad crafter by night. 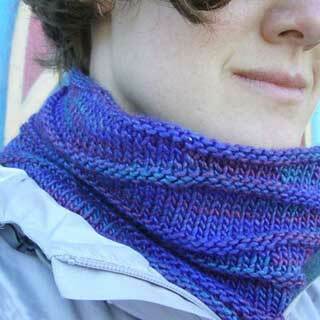 Her interests include knitting, weaving, spinning and sewing. 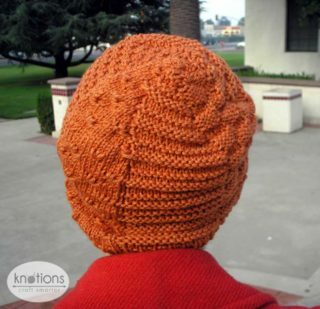 She lives in Azusa, CA with a whole room filled with yarn and fabric. You can visit her blog at azaleaandrosebudknits.blogspot.com. Pattern and images © 2008 Cassie Miller.